Neem oil is widely acknowledged for its medicinal and therapeutic purposes. As an evergreen tree, neem (Azadirachta indica) is rich in amino acid, quercetin, ascorbic acid, ß-sitosterol, antioxidants, and triterpenoids such as salannin. The two most active constituents in neem oil are azadirachtin and nimbin which have antipyretic, antihistamine, antifungal, and antiseptic properties. One of the numerous benefits of neem oil is that it ensures that the collagen production in the body is stimulated. Collagen is widely and scientifically known for its anti-aging effect. Users of this oil appear charming and younger by the day. In addition, neem oil helps reduce skin lines and enhances smoothening of body wrinkles. Neem oil treats various forms of dry skins-whether severe or mild ones. Once you apply the oil on your body, you are rest assured that your skin would look vibrant throughout the day, no matter the activities you undertake. Neem oil moisturizes and conditions the skin. This function of the oil has been established scientifically after scholars subjected usage of neem oil to a lab test. It was affirmed that the oil is incredibly rich in fatty acid and vitamins which ensures that it permeates into the body of its users to keep their skins glowing all day long. One of the most common skin defects is acne. It is caused by the excessive secretion of sebum on oily skins. Neem oil treats the wounds and scars left on the body by acne. Due to the presence of fatty acid in neem oil, it also ensures your skin becomes the normal vibrant skin it used to be before the acne. One of the enemies of the skin is pathogens. Pathogens hide under the skin surface and tend to cause damage on our skins. Pathogens have been medically linked to exacerbating wrinkles on human skin. However, Neem oil contains well-proven antimicrobial properties that fight these pathogens. This, in a way, also reduces aging as one of the direct features of old age in people is wrinkles. So, when this oil inhibits pathogens as well as wrinkles, you maintain your young, agile and fresh look. The overall effect of neem oil on the skin is its purification and healing effects. Scars, burns, and wounds are carefully and naturally healed. The rough skin areas peel over and the skin regains its natural, nice look again. One of the most common skin infections of the body is eczema. Most times, it spreads beyond where clothes can cover and could give one a very offensive odor. The infected part becomes pale, irritating and chronically dry. However, when neem oil is constantly applied to the affected part of the skin, the rashes and irritation are gradually treated. Another benefit of neem oil for skin and hair is its ability to treat psoriasis. Apart from scales on the skin, psoriasis is usually dry. Part of the beneficial components of neem oil is the inclusion of Vitamin E that incredibly inhibits symptoms of psoriasis. Not only does neem oil play a protective function, it further ensures that no other ailment arises from the infected skin. Some of the most painful infections of the skin are fungal infections such as athletes foot, nail fungus and ringworms. However, neem oil contains antifungal components in the form of two active compounds known as nimbidol and gedunin that fight fungal infections on the skin. The compounds effectively treat numerous fungal infections that may already be on the skin. Although no scientific experiment has established the claim that neem oil removes blackheads, anecdotal experiences of a lot of people have confirmed this. Many people who have applied the oil on their face have attested to its ability to get rid of blackheads. The results have been more than admirable. This could be attributed to the antioxidant properties of neem oil. Apart from the fungal infections recognized above, there are many other skin infections that affect people’s skin. But with neem oil, these infections are curbed. Skin ailments such as moles, warts and cold sores could be treated by the ever effective neem oil. Asides inhibiting these illnesses, neem oil cleanses the causal pathogens from the skin and eliminates the chances of their reoccurrence. Hives, technically known as urticaria, is an allergic skin disorder that can appear on numerous parts of the skin if proper care is not taken. Neem oil contains antihistaminic properties that help reduce symptoms around the affected areas of the skin once applied. Itching of the skin is one of the most common skin phenomena. Many people unrepentantly scratch their skins even in public places. The main cause of itchy skin (pruritus) is the loss of moisture in the skin. Since neem oil is rich in fatty acid and vitamins, it ensures that the skin does not lose much moisture. In addition to this, neem oil also cures damaged skin. Neem oil contains both Nimbin and Nimbidin compounds that resist numerous kinds of skin inflammations and redness. Furthermore, neem oil retains skin moisture and heals numerous forms of dermatitis. Likewise, neem oil combats causal bacteria in the body which when allowed, may cause some breakouts and the conventional irritating pimples. Normally, infections such as herpes, ringworms, acne, pimples, and other illnesses leave scars on their victims after being treated. These scars may sometimes be irritating and would not allow the skin to look as healthy as they should. Neem oil reduces the scars caused by infections through its non-comedogenic agent. It consequently makes the skin shiny and attractive. Neem oil is an oil of moisture and restoration. After inhibiting pathogens that could damage the skin, neem oil ensures that the skin is smooth, agile, charming, young and most importantly, healthy. Neem oil is considered a natural skin toner. One of the major benefits of neem oil is its ability to eliminate skin ectoparasites and skin mites, such as scabies, from our skin. Neem oil inhibits scabies from the root by killing their nymphs on the skin surface. The best method of application of the oil on infected areas is to rub it on the black spots (areas of infestation) and allow it to stay for half an hour. If this is done constantly, all forms of inflammation, itching, and mites would gradually be eliminated from the skin. All pains and infections caused by scabies would also gradually disappear. There are many hazards and pollutions in the environment in which we live in. This becomes more pronounced on people that travel often or people that are often engaged in toxic industrial activities. Compounds in neem oil such as vitamin E, fatty acids, anti-inflammatory constituents, and antioxidants protect the skin against environmental damage. Another related element that works under this is carotenoids. Carotenoids, in neem oil, defends the skin against harmful free radicals that may lead to untimely aging. This is one of the medically certified benefits of neem oil. Neem oil reduces inflammation when it is applied to the top of minor inflamed wounds. Furthermore, during this moment, it increases the flow of blood in the affected area so as to ensure more creation of collagen fibers for the swift treatment of the wounds. A major cause of poor complexion uniformity has always been over-secretion of the body’s color pigment known as melanin. One of the things the constant application of neem oil does to the body is that it regulates the production of melanin and lightens up all the areas that might have been badly affected by the excessive production of the color pigmentation. The oil should be applied, with caution, to the affected areas and you should be sensitive about its reaction before taking full-blown action on its usage. Due to its taste, it is very hard to use it for dental hygiene, but neem oil can be used as constituents in antiseptic soaps and toothpaste. In the same vein, the oil can perfectly heal minor cuts on the skins and hands. It kills all traces of bacterial and fungal infections on wounds and bruises around the skin. One could fear the scorching sun but our schedules could helplessly throw us under it. One way to guard one’s self against the sun’s negative effects is through the use of neem oil. Many people have looked so aged than their real age due to the fine lines caused by rays of sun they are constantly exposed to. Neem oil protects the skin against wrinkles, as well as various forms of inflammations and protects the skin against sunburns. Neem oil has proven to be a very effective and natural remedy to hair infections like dry scalp and dandruff. Neem oil enhances the pH level of the scalp. It also helps to ensure that your hair is free from dandruff attack. This medicinal benefit of the oil has been medically confirmed and that is why neem oil is a common addition to commercial shampoos. A very good way of treating damaged hair is to add neem oil to hair conditioners. Once added to hair conditioners, it improves the hair texture and ensures that the hair becomes smooth. In addition, neem oil makes the hair sturdy and easily controllable. Apply the oil on your hair for some few hours, then, wash off and wait to see the wonders of neem. If you ever wish for healthy hair growth without side effects, neem oil is a good option to consider for this. Neem oil gives strength to the roots of the hair, fights against stress, unfavorable medication, and thin hair. The overall effect of this is that the hair grows fast without being threatened by the usual factors that impede its growth. Lice infestation is a common occurrence among kids and some adults. When trying to treat lice, parents should refrain from using the overly-hyped products that have high amounts of harmful substances and chemicals whose side-effects might surpass their positive uses. Neem oil is pure and natural; it does not have any side-effect whatsoever. The oil has proven to be highly effective for dealing with the common ectoparasites of the body and parasitic Mites. 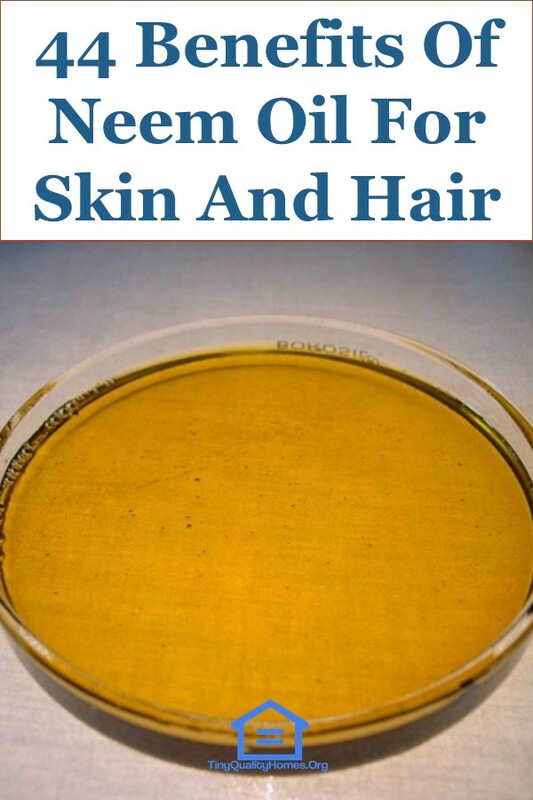 Neem oil gradually removes lice from the skin and head. One of the many ways to get the best out of neem oil is to mix it with conditioners and shampoo that you use for your hair growth. The natural properties of neem work well on hair and ensure your hair becomes less frizzy. Neem oil improves hair quality and quantity as well as gives you the liberty to create almost any style out of the massive hair. Those who care about their hair and its health know the importance of an improved pH level. When you blend neem oil to your hair conditioners and shampoos, it ensures that the pH level of your hair is at its optimal level and the scalp is healthy. The best way to put an irreversible end to split ends is to frequently use neem oil. Some of the many effects of split ends are that it impedes hair growth, makes the hair frizzy and difficult to manage. Neem oil naturally moisturizes the hair, ensures the root becomes sturdy and repairs damages to cuticles caused by split ends. Consistent and holistic application of neem oil eliminates split ends. Medically, there is a strong link between hair growth and the condition of the scalp; a healthy scalp translates to a beautiful, attractive and long hair. Neem oil contains compounds that enhance the good health of your scalp just in a bid to ensure your hair is always appealing and beautiful. Hence, apart from moisturizing the hair, neem oil keeps the scalp in a healthy state. We all want to remain young and keep our youthful looks, but nature always calls and we could start seeing early signs of greying of our hair. Neem oil contains active compounds that slow down the graying of hair. This is backed up by some scholarly studies. So, as you become older, neem oil should become a more intimate partner to salvage your hair from turning grey. Neem oil contains active compounds, such as quercetin, which works against inflammations on the skin and head. When this is combined with eucalyptus oil and/or peppermint oil, it greatly relieves those suffering from itchy scalp from pains. Not only that, neem oil curbs it reoccurrence and heals the affected spots. These combined essential oils nourish the skin and give your hair a very charming and pleasing smell. It is easy for our head pores to be clogged with dirt which could lead to inflammations and irritations. Neem oil unclogs these pores from the head to give space for the healthy growth of the hair. In order to have an effective result for this, neem oil should be blended with herbal shampoos and be used consistently in washing off the hair and scalp. It would kill all germs and cleanse the dirt off the head. Neem oil has fatty acids and some essential vitamins that produce a moisturizing effect on the hair strands. Medically, if the hair strand is cleaned and disinfected, it would not produce an optimal result yet until it is well moisturized. So, these elements of neem oil ensure that the hair is usually moisturized for a healthy scalp to bolster hair growth. Another important benefit of neem oil is that it can be used as a hair mask when mixed with other appropriate elements such as honey, coconut oil, and amla oil. After mixing these elements properly, the mixture can be used to massage the hair gently and washed off the next day. When this is done regularly, it ensures natural, healthy hair growth devoid of infections. Once the hair cuticle is damaged, the hair becomes irritatingly rough and frizzy. During this period, the hair is always dry and looks pale. However, when you regularly apply neem oil on the hair, it ensures the rough hair is conditioned and consequently puts it under your control. To those who are naturalists, neem oil is an unavoidable partner. It can serve as a gel for styling of the hair. Once the oil is applied on the hair, then it can be combed to style. 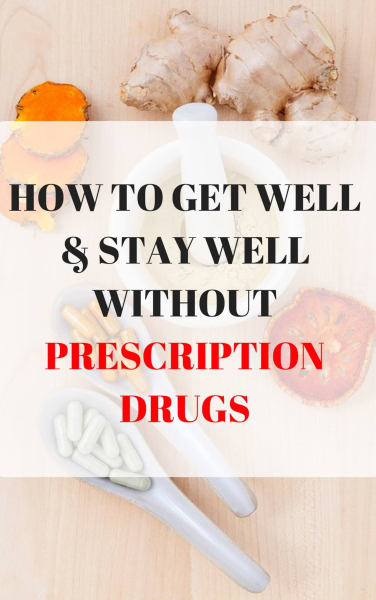 One of the advantages of this is that it saves users from the side effects of toxic and harmful chemicals. Not only that, neem oil ensures that the hair is kept soft at all times; it prevents hair stiffening. One of the pride of ladies and celebrities is long, thick hair. When the hair becomes thicker, it adds to one’s beauty and prevents the skull from direct scorching of the sun. When you regularly apply neem oil on your hair, it effectively grows your hair longer and thicker to your admiration. Additionally, thick and long hair can be used in making any style while short hair limits one’s choices at the saloon. Another important benefit of neem oil for skin and hair is how its antioxidant properties work in ensuring hair growth. Neem oil contains numerous potent antioxidants that help to keep the hair healthy as well as inhibit the effects of harmful free radicals. According to research, those battling with alopecia can resort to neem oil for protection. Once the antioxidant level is bolstered, the scalp functions optimally and hair begins to grow appropriately. Usually, bald people are desperate of getting rid of their baldness and as such resort to all kinds of products that are filled with high toxic contents. The side effect of these products is always severe and regretful. A natural remedy that tends to slow the process of baldness is neem oil. It gives strength to the hair follicles and tends to safeguard against baldness. A person with dull hair looks dull on the face too. Hard dry hair is not always attractive. The best way to get rid of this is to add neem oil into your shampoo and apply gently on the hair. It makes the hair smooth, glowing, as well as soft and shiny. When your hair falls consistently, you are always at a disadvantaged position of having to spend extra money in maintaining and growing it; it’s frustrating and depressing. The smart way out of this problem, which sometimes may be hereditary, is the regular application of neem oil. It is effective and reliable. More so, it is 100% natural without any side effect. This benefit seems ironical at the surface level, right? Neem oil contains a sebum-like structure which helps control too much oil production on the skin. This sebum-like constituent helps trick the skin into stopping the overproduction of its own oils. Neem oil ensures your skin becomes vibrant, smooth and flawless by removing traces of spots, scars, and infections from it. Once you use a neem face pack instead of a toner, your face would be cleared of all debris. In order to get the best result, always blend the neem oil with turmeric and apply it on the skin twice a week. The result would be incredible. An overall benefit of neem oil is its ability to protect the skin and the hair from numerous forms of infections, be it external or internal. It contains oleic acid, also known as omega-9 fatty acid, that contributes to neem oil’s defensive feature against infections and diseases. So, apart from patients, anybody can use this oil to serve as a preventive measure. Using neem oil on skin or hair could lead to allergic reactions such as itching, swelling, redness, as well as irritations especially on sensitive skin. As such, carry out a patch test or consult your doctor before using this oil.